The Delaware River Basin Land Use Dynamics Project based at Shippensburg University will hold a series of workshops throughout the watershed to help develop a land cover mapping, modeling and monitoring system for the river basin. 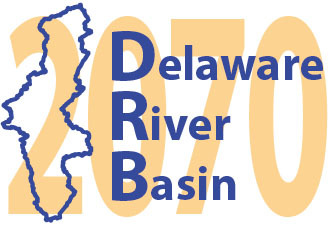 This Delaware River Basin 2070 collaborative effort is intended to help civic and business leaders make decisions that reflect shared stakeholder interests and data-driven research to produce lasting benefits for the regional economy and quality of life. The Watershed Identity and Scenario Development Workshops are designed to develop multiple land use scenarios to visualize the range of possible futures and evaluate tradeoffs among them. The first workshop will be on October 29 at the Academy of Natural Sciences in Philadelphia with others following at other locations. Click Here to register. If you have expertise or an interest in the Delaware basin, e.g., commerce, housing, conservation, water, etc., then please contact the Project. Or, your input can be in the form of data, which represent current conditions or future projections. If you have data (population or economic forecasts; spatial buildings, parcels, or planning zones), then please share them with the project. Please join one of the Watershed Identity and Scenario Development Workshops! For more information, visit the Scenario Development Workshops webpage or contact the Project with any questions or send email to Antonia Price at: afprice@ship.edu.